I finally have some blogging passion back! *waves* It's nice to feel properly back here and ready to write lots of posts once again. I like to write about a range of stuff and iPhone apps seem like a good thing to write about, especially since I download so many of them these days, mainly because I got the 128gb iPhone 6S I have tons of space to use up. Side note on that, I've had the new iPhone since it was released and I can safely say it's awesome and I recommend it! Now back to the title of this post! Cute right? 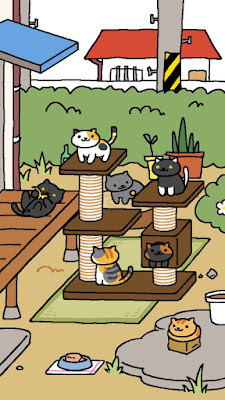 It's a super simple game, all you need to do is put food out, put out some cool toys etc for the cats to play with and collect the money. Easy peasy. You would think such a game would get boring or tedious after a day or two, but surprisingly it's quite addictive, possibly because there are so many different cats that can visit, you definitely want to catch them all. Then there's the mementos that the cats can leave, and I have to be honest, I definitely want to collect everything I possibly can! 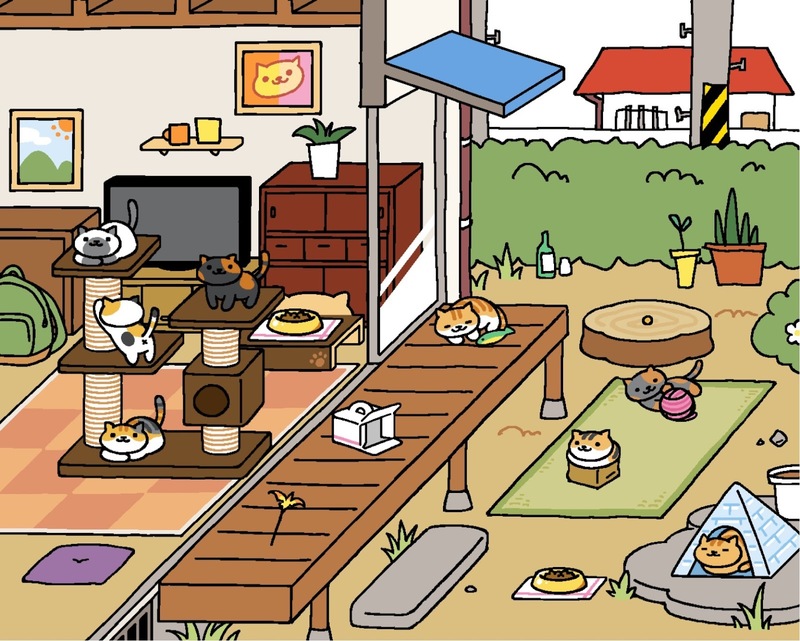 You can also save up your gold fishes to buy yard expansions, which gives you more room to put food out and to have even more kitties to admire. 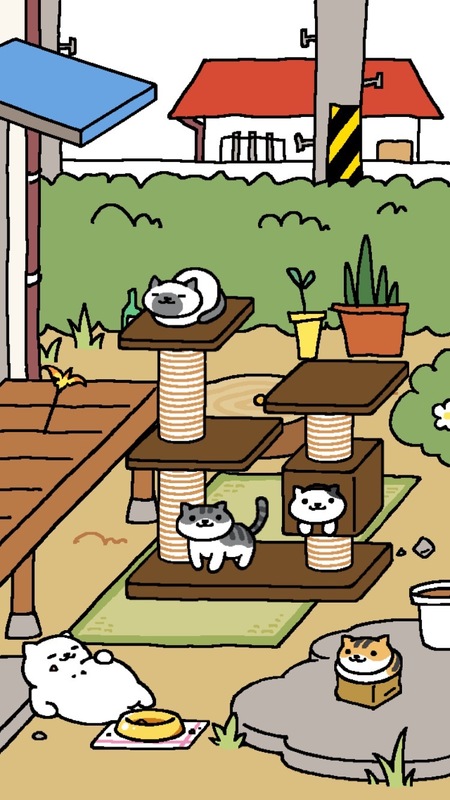 I definietely plan on expanding it as far as I can and getting all the cats possible! I haven't been playing it for very long, but it's such a quick game I quickly pop on the app during short breaks at work and on the tube etc. 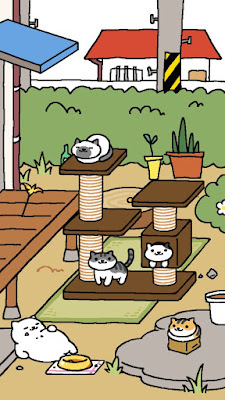 As someone who can't have cats in my home this definitely fills the void a tiny bit, plus look how cute they all are! Though if Mr Tubbs gives you a visit, make sure you let him have his moment, so don't refill the food until he wanders off. He'll leave you more fishes that way! 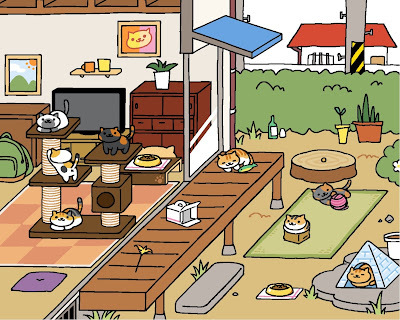 That's Tubbs at the bottom left in the picture above. The game is a hit with all my friends and I think that's down to the fact it's so simple to play and it's super cute, plus we all like collecting things! There's a reason things like Pokemon and Pogs were so popular, the human race like to collect stuff! 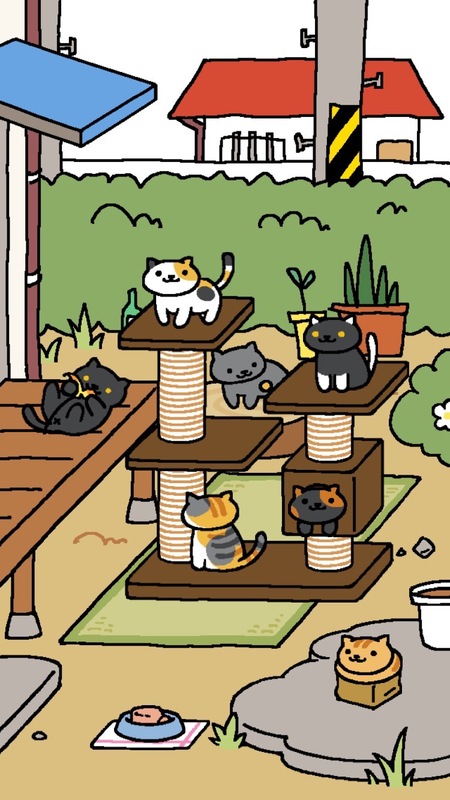 This app allows you to collect cats, and everyone loves cats (you know apart from those weird people who are strongly against them..). But if for some crazy reason you dislike cats I did intact hear a rumour this afternoon that the makers of Neko Atsume are creating a dog version of the game. I hopefully look forward to adding that to my app collection!